COMMERCIAL GRADE DOORS - Welcome to Interstate Window & Door Company! Euroview is a commercial grade window and door system that utilizes all the benefits of PVC to satisfy the acoustic, thermal, security and structural requirements demanded by architects and building owners. 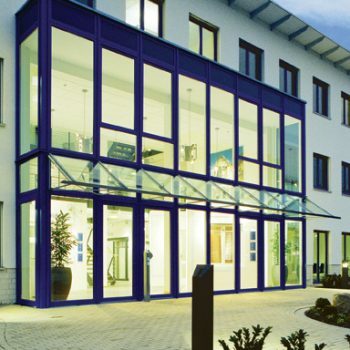 Advanced German engineering combined with the latest US manufacturing techniques makes Euroview one of the highest performing window and door systems on the market today. For more information call our sales team at 800-338-9997.